In this project, we offered a creative solution which is beneficial for both the non-smokers and smokers. This is a winning project for I.D. Magazine's Annual Design Review 2009. People pick up smoking because of many reasons like liberating their tension and relaxing their mind. It is a habit, and knowing that it is bad for their health, they chose to have this habit. Meanwhile, non-smokers take seriously the negative effects of the second-hand smoke and insist that smoking should be banned in the public places. 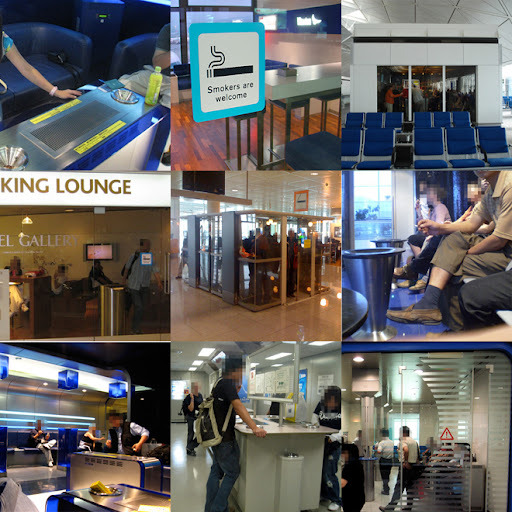 In Hong Kong, complete smoking ban was implemented from 1 July 2009 onward. When this system starts, the old smoke is vacuumed by the arm top and base groove area where the low-pressure air is generated . 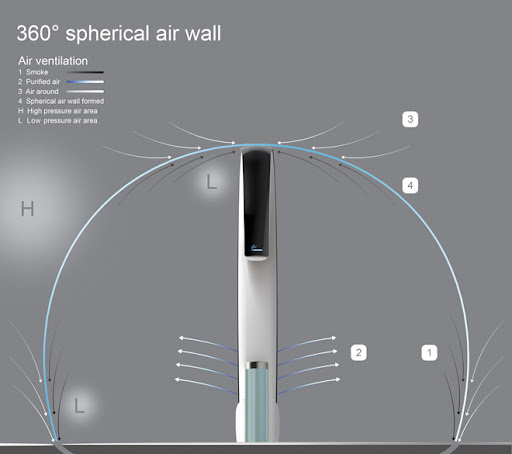 The "air wall", a transition between the low pressure air generated and relatively high pressure air surrounded, keeps the smoke within it and to be purified. Then, the purified fresh air is sent out to the center of the booth from the lower part of the arm. The smoking space is therefore created by this invisible spherical “air wall” through which the travelers can walk conveniently. Does this bubble really work? Has it been implemented yet? Also air suction systems don't have very much reach... just basic engineering fluids problem. Our initial idea for this design is to keep the smoke within a "closed" space. We thought about creating air pressure difference to concentrate "old smoke" within the booth area. Therefore the "air wall" concept was proposed. 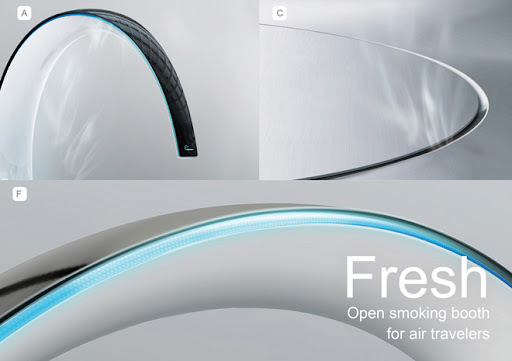 As a design concept, It brings a fresh ideal to solve the problem of smokers. 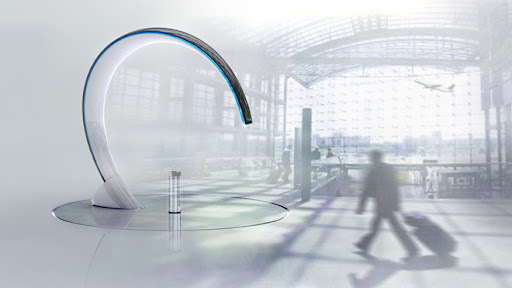 how is the air purified and when will this product be in production , and if it is in production where can i buy it ?